Last week, Super Smash Bros. 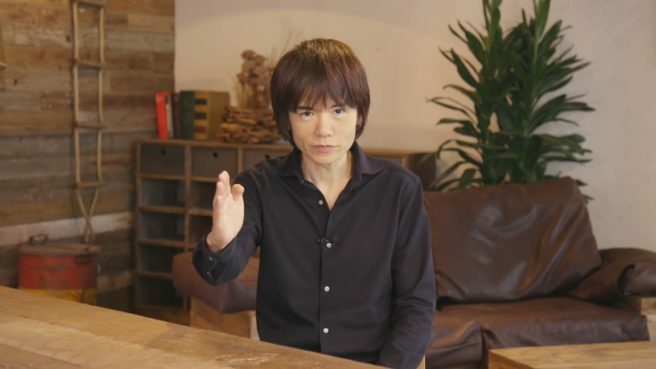 Ultimate director Masahiro Sakurai published his first column about the game in Famitsu following the game’s proper unveiling at E3. He followed up this week with a second piece. Sakurai’s latest column addresses the development and production of Smash Bros. Ultimate, some general talk about the future, and more. We have a full translation below. This is a continuation of last issue’s discussion on Super Smash Bros. Ultimate; this time, I think I’d like to focus a bit more on the game’s actual production. Just as in the last game, Bandai Namco headed development for Ultimate; I actually had to relocate due to that, changing my daily commute. Ultimate’s development team was primarily based on those that had done work on the previous game; even so, we had a good deal of new people come in to increase the team’s capabilities. For such a large undertaking, we’d need hundreds of people working on the project! Around the time of the first two entries in the Smash Bros. series – Super Smash Bros. and Super Smash Bros. Melee – as well as the beginnings of many other series, I had essentially built the development team and the company (HAL Laboratory) from the ground up. In other words, stuff just took longer to prepare in those days. These days, because I can hand off the development, I have a bit of an advantage – it’s the primary reason we could even manage something like having every single fighter reappear in the first place. There seems to be a lot of talk surrounding the development of the game itself, so I’d like to clear all that up by presenting my own perspective. Smash Bros. is something I’d probably refer to as one of Nintendo’s biggest “billboard” titles. Even though there isn’t much merchandise outside of amiibo, you see a lot of media concerning the game around, and that’s something I feel is special about the series – it’s almost like extra advertising. It’s such a big collaboration that its influence is quite big, too. Because the series’ influence has become so large, there’s always the possibility that the series will continue! Of course, there’ll probably be Smash Bros. titles some time in the future that I’m not even involved in. However, I feel like this is the last time we’ll have something akin to having all previous fighters appear in one game. I can’t exactly say what the future holds, but I don’t think that something like this could happen again. The cost of making a game like this is increasing and trying to replicate a project as big as this in the future would cost a lot of time, manpower, and money. Even if a game is just a port, there’s an incredible amount of work that goes into making it happen. Additionally, in the case of Smash Bros., we have to painstakingly go to each individual publisher to acquire their acknowledgement in order to have their characters appear in-game. If a character’s publisher requests something specific of us or puts limitations on our use, we have to acquiesce and do it right by them – no matter the cost. It’s pretty difficult to coordinate and adjust contracts; production is kind of an excruciating process! In fact, we only barely got permission for everybody that’s appearing in Ultimate! But I get it, it’s reasonable for players to expect the roster to increase. Regardless of production circumstances, it’s relatively normal for a character from a previous entry to appear again in the next title. And we’ve just been talking about Smash Bros. so far, that’s not even including a lot of the amazing games that are out there! A lot of times I’ll find myself looking at another game from a producer’s standpoint, thinking to myself: “How can making something that intense and amazing be possible! ?” And these amazing works and feats of creativity are being sold at the same price as they would have been 20 years ago – it’s incredible! The difference between ideals and reality is pretty big, and to make in reality what we could usually only dream about took the right conditions and a legitimate chance of success. For Ultimate, because the development company is the same, the know-how wasn’t reset – it isn’t like we forgot how to make a good game in between games. There’s no need to change the game’s “architecture” between handheld mode and docked mode, either. We can re-use assets from the previous game, too – things like that. All of these aspects combined was our “chance.” Everything was laid out for us, and the conditions were perfect; all we had to do was reach out and take that chance, and our wish for a game where “everyone is here” could possibly come true. If we were ever going to make a game this big, it had to be now… That was my line of thinking, and it ended up shaping how I planned the game. But whose dream was it, exactly? Why, the customers’ dream, of course. There’s all sorts of fans, and I really want to meet as many people’s expectations as I possibly could – that’s how I approach all of my games. Of course, there’s always that little voice inside of me that says, “I want to work on things that aren’t Smash Bros.,” and I listen to it. But even so, if it’s apparent that my games have even a little bit of personality in them and the player is able to appreciate that, then I’m grateful. Still, it’s Nintendo that decides whether a new Smash Bros. game will be made or not. When I get that request, it’s my job to make that my top priority without thinking too much about other things. As it stands, I have a ludicrous amount of directing to do – my work is incredibly extensive, and I don’t think that’ll change any time soon! At the very least, it isn’t unreasonable to say that there won’t be another Smash Bros. for awhile after this one is finished. It isn’t that I feel like I’d be stuck in a creative rut if I kept working on the same series, I don’t think. There are always things that’d keep me thinking, like how to put a seemingly-impossible character into the game – things like that. I think I should hold on to my work, and respect it, in fact. There are plenty of interesting and unique games out there, but I believe that Super Smash Bros. is truly one of a kind. In any case, making a sequel to a Smash Bros. game is clearly different from making any other sort of sequel – it’s something that requires the cooperation and agreement of a lot of different people. Translation prepared by Nico Thaxton on behalf of Nintendo Everything.